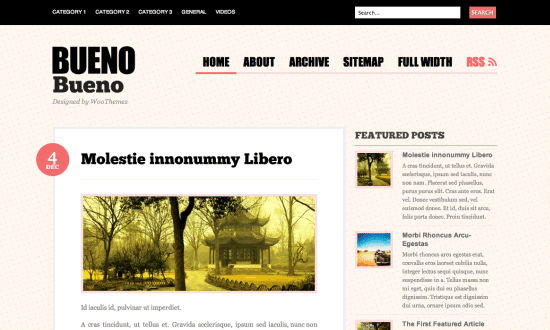 Bueno is free premium wordpress themes created by boutique WooThemes. Type magazine, Bueno has two main menus at the top of each page. In a glance, your visitors will have access to your pages and your categories. Bueno has menus and displayed on the home page the latest articles.